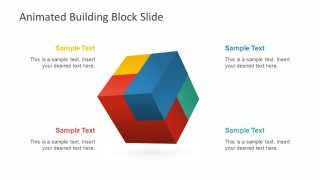 The Animated Building Block Slides for PowerPoint is a 4 step diagram template of 3D cube puzzle. Although, this is a simple building block design to present various business concepts. 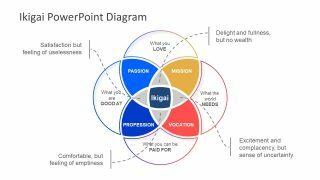 However, it is an incredible PowerPoint diagram to visually illustrate the business strategies and complex processes. Moreover, it is applicable to art projects and casual meeting presentations. The two slide PowerPoint shows a 3D cube box comprise of 4 color blocks. These eye catching mix colors include red, yellow, green and blue on plain background which enhances its 3D shape. 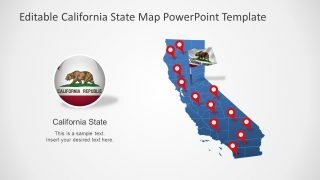 Hence, the animated building block PowerPoint is tool for presenters to impress their audience with versatile 3D cube slides. The 2-slide Animated Building Block Slides for PowerPoint has four segments enabling users to display 4-step processes. It is a 3D cube diagram template, a multi purpose business presentation for work flow processes and explaining conceptual data. For example, discussing the four basic strategic planning processes as, environmental scanning, formulation, implementation and evaluation. Similarly, the four elements of effective communication as, people’s emotion, physical presence, eye contact and smart use of words. 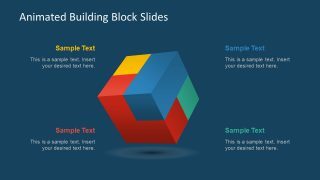 The building block PowerPoint has two background version slides which gives the idea of changing colors. This way, the users can go to the shape fill option to alter colors. Whereas, the background format option is available in design menu. 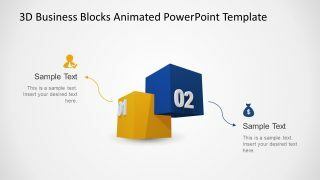 The PowerPoint of building blocks is a resourceful animated presentation to present an outstanding series of processes. 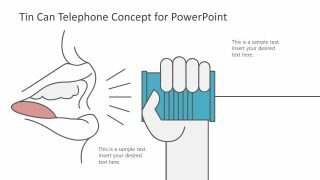 The animations available in this template are pre-design PowerPoint features for numerous presentation. The customization of this feature under the animations menu provide variety of effects. Furthermore, the PowerPoint gives users the ability to change the duration and delay of every element and their triggers. The SlideModel has variety of building block cube and puzzle presentations including 3D tetris cube diagram. Browse through the SlideModel catalog gallery to find more.